Star Cruisers are can now be treated like a royalty if you book your holiday packages with Hwajing Travel & Tours! Exclusively brought to you by Hwajing Travel & Tours, you will get to enjoy some special treats on COMPLIMENTARY when you book for the 4days-3nights SuperStar Libra packages! It is time of the year that we all plan for another holiday! 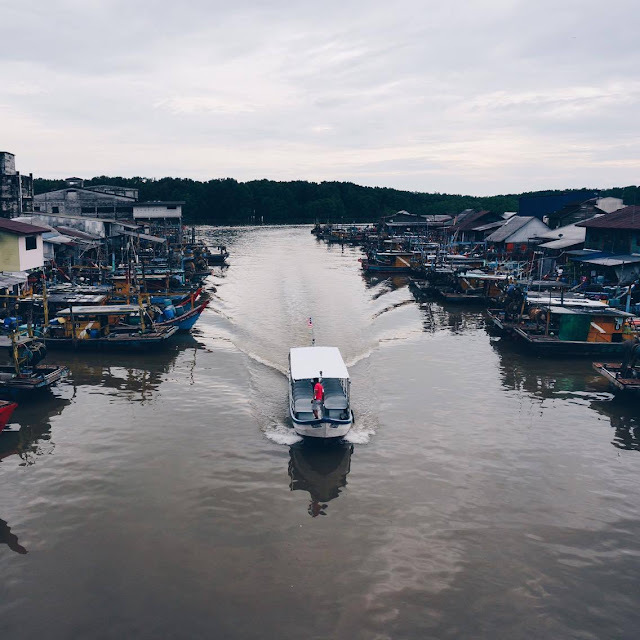 If you think that it is too troublesome to plan for all the complicated itinerary, why not give cruise tour a try and you get to visit Penang - Krabi - Phuket - Penang trip in an all-in SuperStar Libra package by Hwajing Travel & Tours priced from RM1,200 onwards. 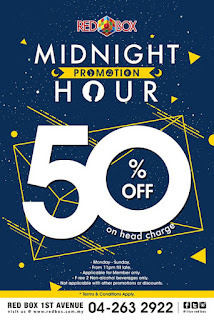 More great deals to grab from time to time. 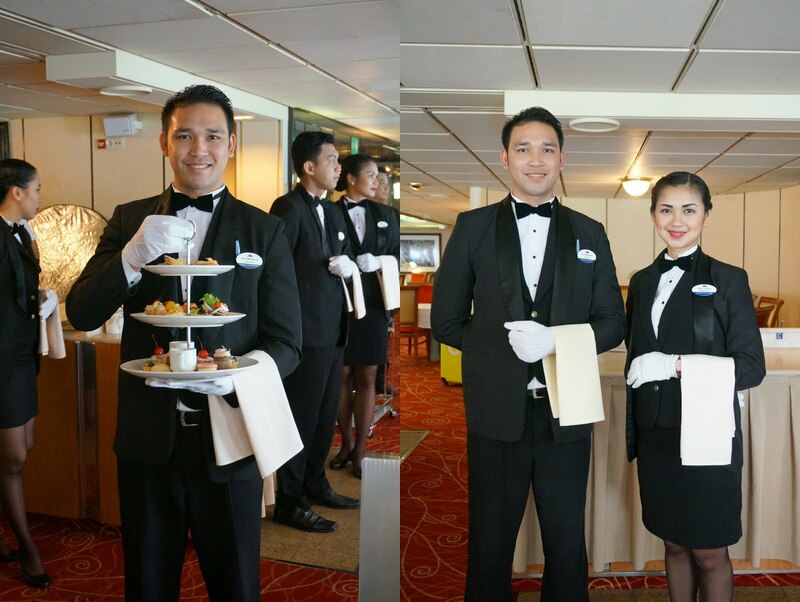 First, you will be welcomed and greeted by a team of pretty waitresses and handsome waiters who dressed like butlers when you step into the Four Season Restaurant located inside the Super Star Libra. They are all very presentable and polite, just the kind of 5 star service you would expect from a well known cruise. To fit the royal standard, all the waiters and waitresses have to dress like a personal butler. All of them were professionally trained to serve at the Four Season Restaurant. 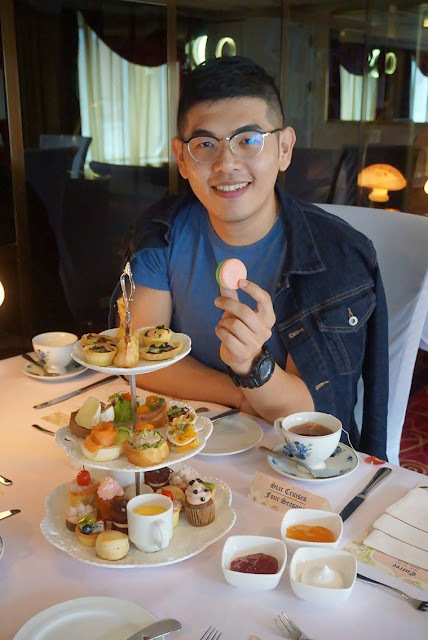 Special thanks to Mr.Kenny Cheong, the managing director of Hwajing Travel & Tours for having us for the launching of Royal Afternoon Tea on board Super Star Libra. 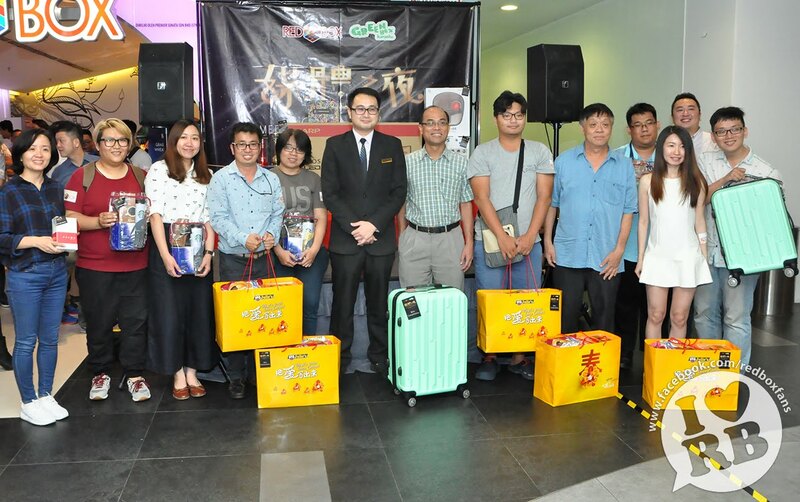 He also shared with us that Hwajing is one of the leading travel agent for Star Cruises in Penang. They will have more and more attractive promotions for the public. This afternoon tea is something special for the tourists, and it is only exclusively available for Hwajing Travel & Tours customers only. This package is not available if you were to book through other travel agents. The 3-tier Royal Afternoon Tea consists of all sorts of pastries, cakes and sandwiches. 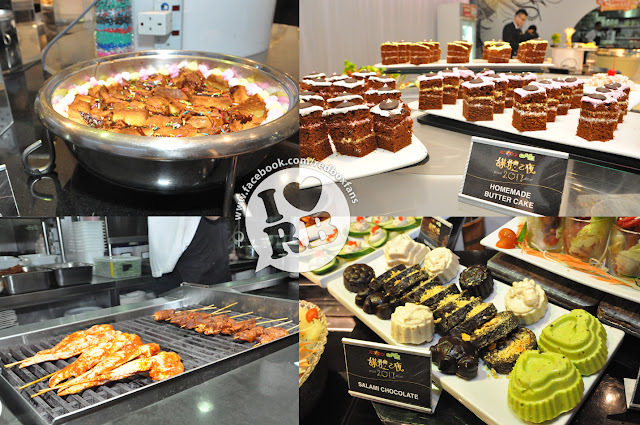 We all savour the gourmet pastries very much, all were freshly prepared and served warm. Special highlights on the prawn fritters, quiches and mini pies that served warm. We were told that all the treats were freshly prepared upon customer orders. 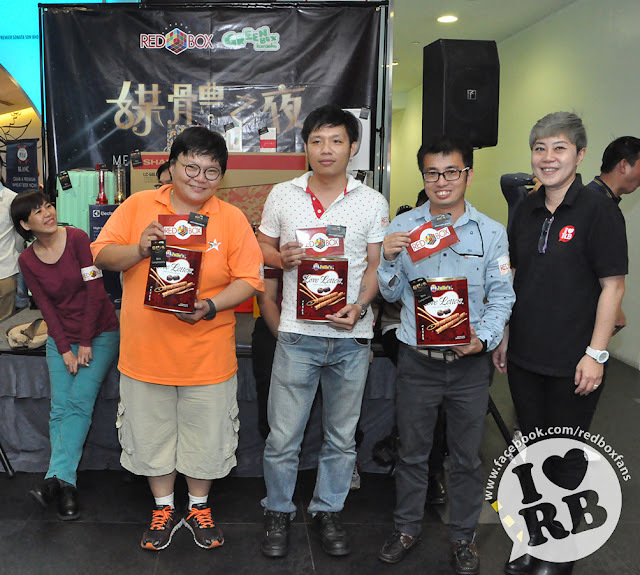 Not only on the presentation, but the food quality can be very competitive with those restaurants in Penang that serve afternoon tea. Sitting in a comfortable restaurant in the middle of the sea and having this kind of royalty treatments while enjoying afternoon tea is sure different from regular restaurants. 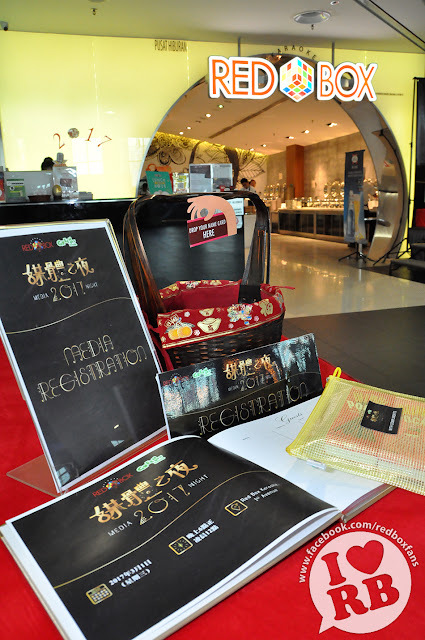 This Royal Afternoon Tea session exclusively for Hwajing Travel & Tours customers are fully on COMPLIMENTARY and BOTTOMLESS. 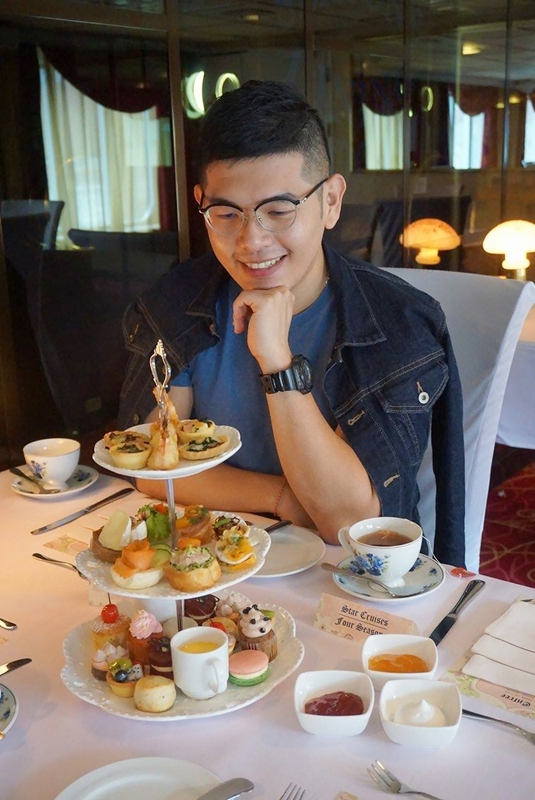 You get to enjoy this refillable afternoon tea session, which means you can continue to order any of the treats on the menu whenever you want to savour more of them. Time limit is 2 hours. The afternoon tea menu is fixed but all the customers can select their choice of tea ranging from English Breakfast, Earl Grey Tea, Peppermint Tea and Green Tea. A group photo with some bloggers. Apart from traveling on this luxury cruise trip and enjoy all the entertainment & activities prepared by the ordinary cruise tour, why not give this a try? This Royal Afternoon Tea session will give you a great memory in SuperStar Libra especially when you are having such a nice sea view and enjoying all these delicious treats by Hwajing Travel & Tours. Batu 21/2 off Jalan Cheras, 56100, Kuala Lumpur. Address: 15 A, Rangoon Road, 10400, Georgetown, Penang. Friends from the media are gathered again by the Red Box & Green Box management this year for the Media Appreciation Night 2017. This year, the event was held at the Red Box 1st Avenue Mall and all the partners and friends from media companies as well as bloggers were invited to join them for a fun-filled evening. Being in the entertainment field for 17 years, Red Box & Green Box thanked the media friends and all the partners for their supports all these years to make them one of the best KTV in Malaysia. 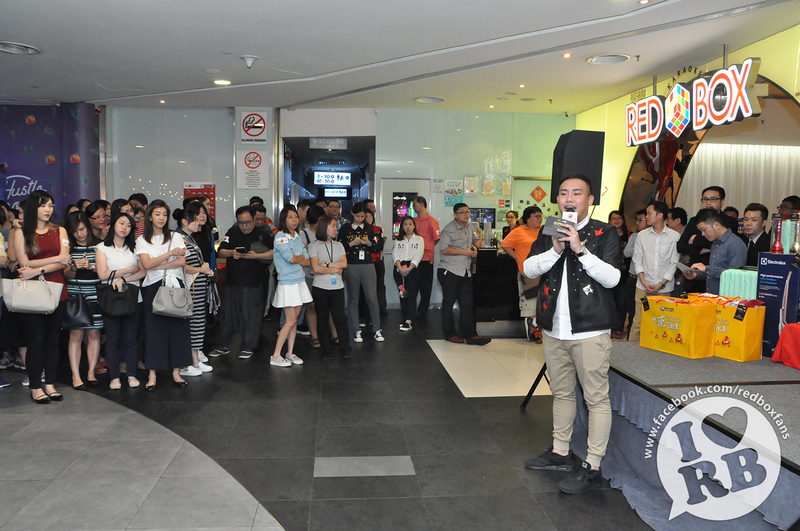 The management also appreciate all the media's efforts in making all their events successful in the past. This year, the media appreciation night was celebrated with a lavish buffet meal as well as attractive lucky draw prizes such as electronic appliances, cash vouchers, smartphones and many more. 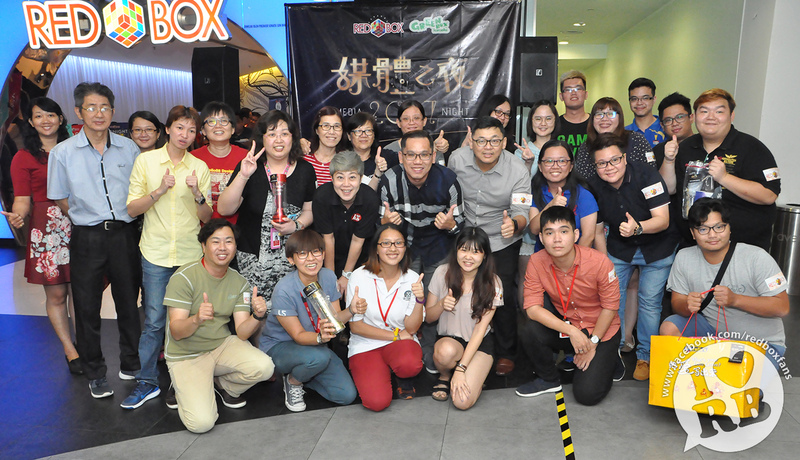 All the invited guests were also invited to sing at the ktv with friends and colleagues at the 1st Avenue Mall Red Box Karaoke. 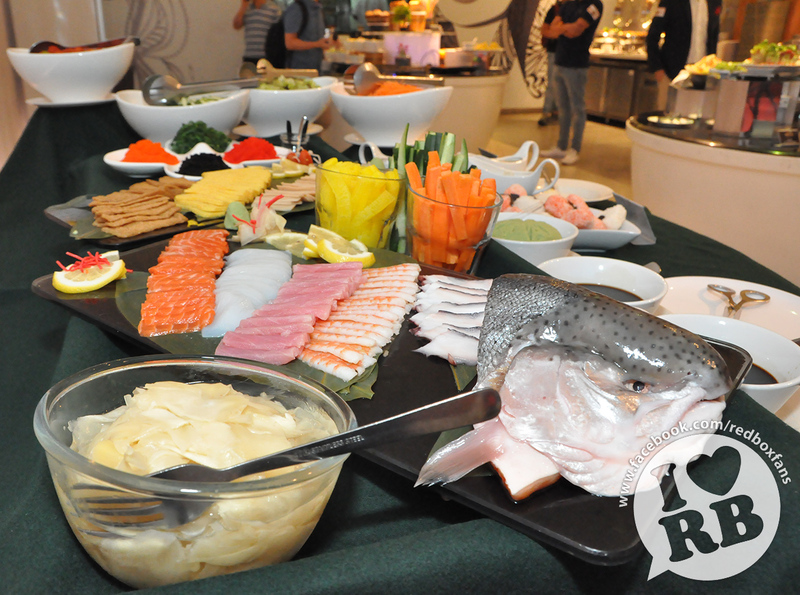 The scrumptious buffet meal features international buffet dishes from Western to Chinese, Japanese and many more. 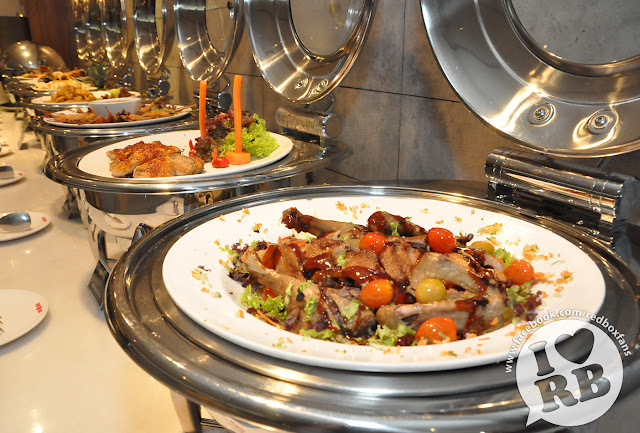 Available from appetizers to mouthwatering desserts. 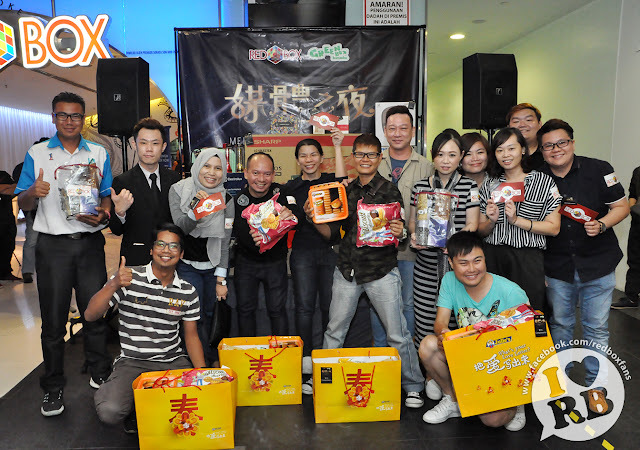 On that evening, all the media friends were invited to the front lobby of Red Box 1st Avenue for a lucky draw & game session as well. Some selected participants were having fun at the game session and won away some attractive prizes from Red Box. 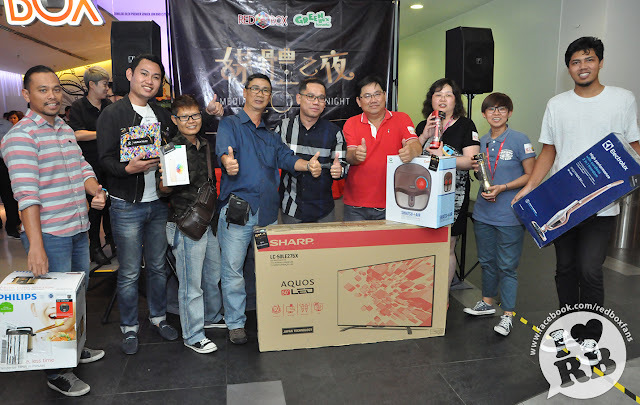 Also the management have prepare attractive prizes and lucky winners walked away with TV, smartphones, hampers, electronics appliances and many more. 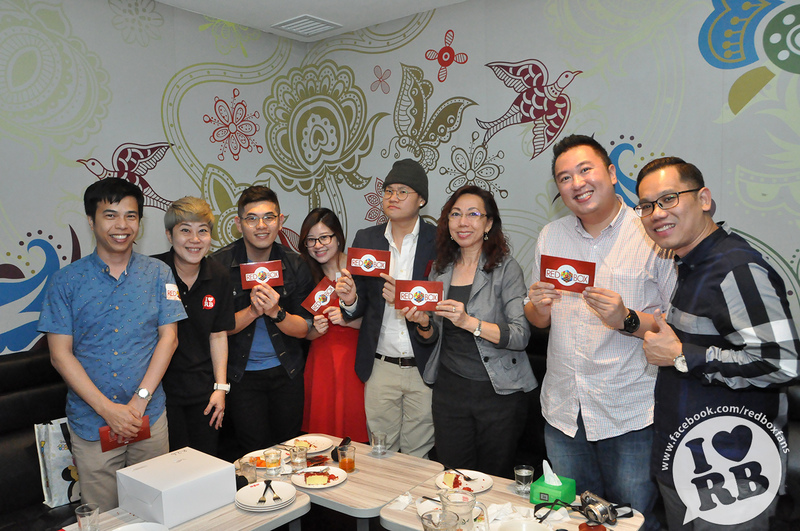 Special thanks to the management for including us bloggers in the media appreciation night. We all had a lot of fun joining the party and celebrations. 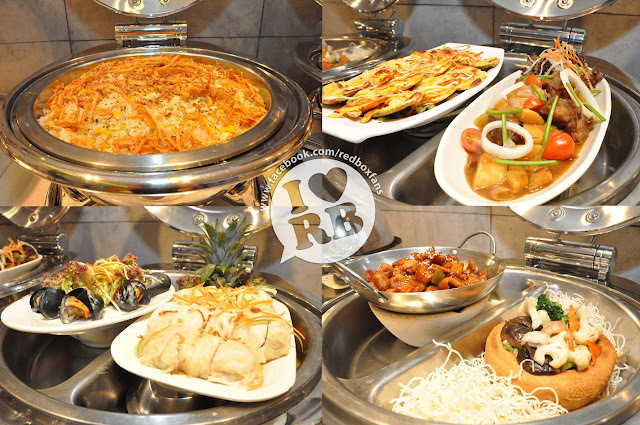 If you are planning for a party or celebration, this is the time we all celebrate with some buffet feast and enjoy all the entertainment prepared by Red Box & Green Box Karaoke! Here are some of the on-going promotions available at all Red Box outlets! 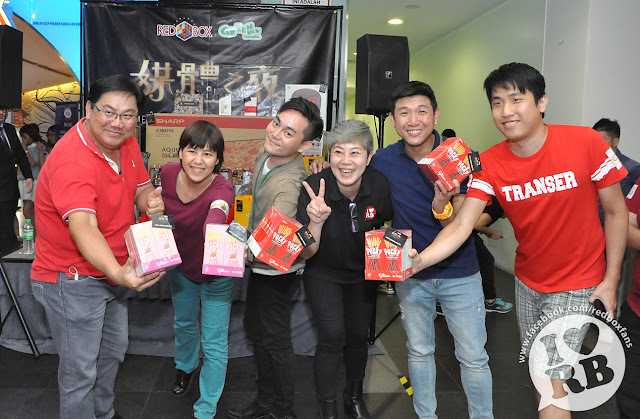 If you are a Red Box or Green Box Karaoke member, you will get to enjoy all the special promotions specially catered for you to enjoy K fever at their karaoke outlets. So... Would you like to sing with me? Pictures courtesy of Red Box & Green Box Karaoke. A foodie's birthday celebration should never be ordinary, so we decided to throw Ken a special kind of celebration this year, a road trip to Taiping, perfect for a foodie hunter like him. So Ken(http://www.kenhuntfood.com/), Ling Tze(http://www.lingzie.com/), Gibson(http://www.gibson.com.my/) and I went to Taiping last Sunday to hunt for food and interesting places. Don't care about all the usual tourist attractions like Taiping Zoo, Taiping Lake and others. Here's how you can enjoy food in Taiping! 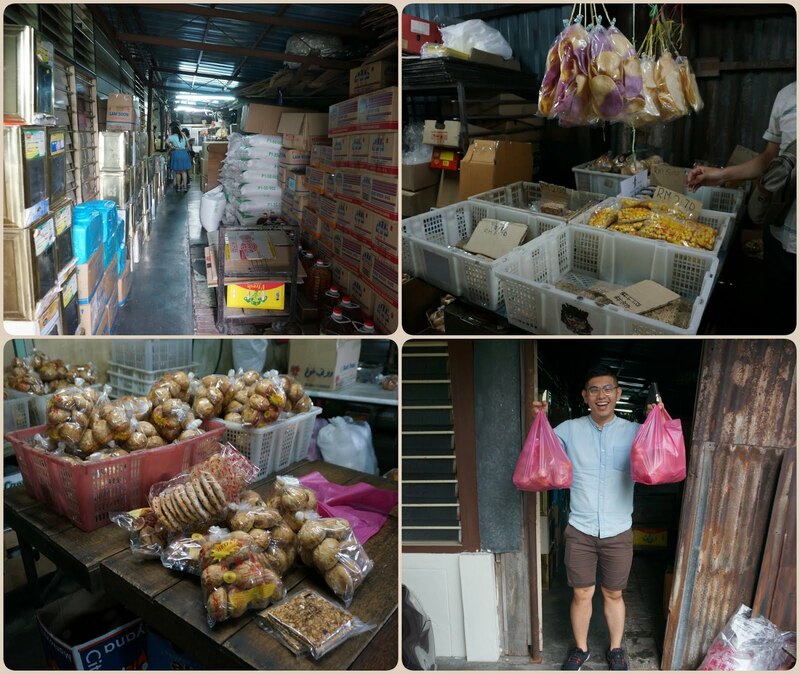 Secretly hidden at the area AuLong in Taiping, this place is a local and tourist favourite place to hunt for biscuits. The goodies are super pocket friendly! You can just throw everything into your basket without watching your budget! 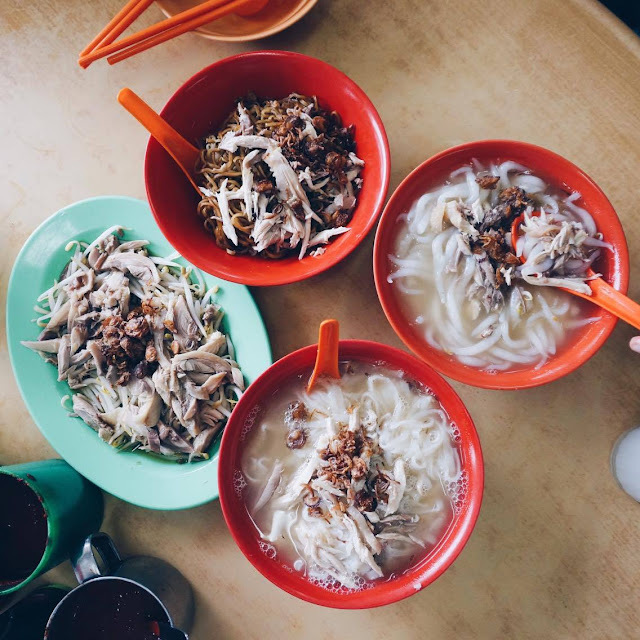 This breakfast place in Taiping is a what a foodie should try if you happen to be here! Due to heavy rain, we had to stop at a place before we could proceed with our itinerary. So we decided to stop by at this hipster looking cafe called DoubleTap! We were surprised by the good food and good coffee, and not forget about the pocket friendly menu too! Perhaps everything is cheap in Taiping as I was told by my friends! 4. Grab a bowl of local Chendol Pulut from Ansari Famous Chendol! Though we still prefer the Penang Chendol which is more "lemak"(thick and creamy), but the one at Taiping was kinda surprising with the Pulut Panggang(Grilled Glutinuous Rice) to go with the sweet dessert. 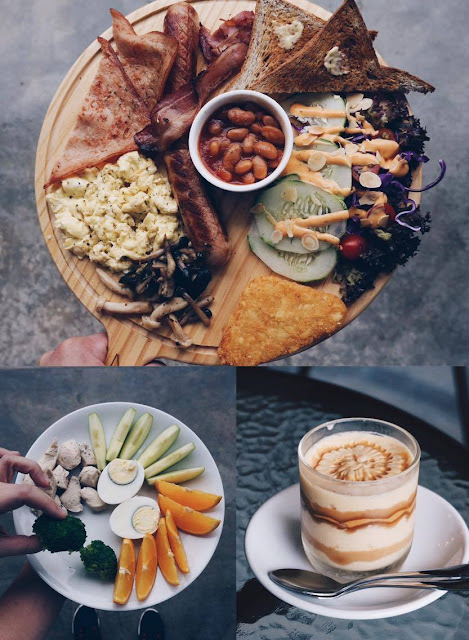 A cafe that has too many items on the menu to the extent that you can't decide what to eat and what to drink. Triple Shot Bed & Coffee is where you can stop by for a cup of coffee, a meal or even a night sleep at the comfortable hostel located directly upstairs of the cafe. The hostel stay is priced at RM75 for double bed and RM55 for single bed. And you can have big breakfast, or even clean meals if you are a diet watcher! Not forget to mention that the Peanut Butter Cake was really good! 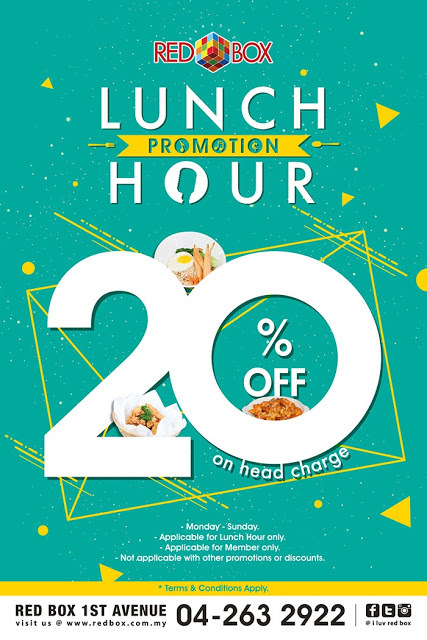 You must not forget to drop by at MJ's Cuisine for the fusion menu that features local specialties as well as western food, Hainanese cuisine and many more. 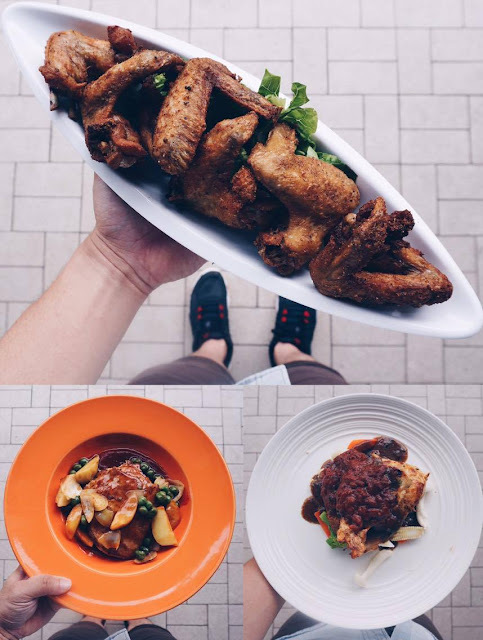 Both the western dishes was good, you can ignore the MJ Signature Fried Chicken Wings though. 7. Take more and more pictures! 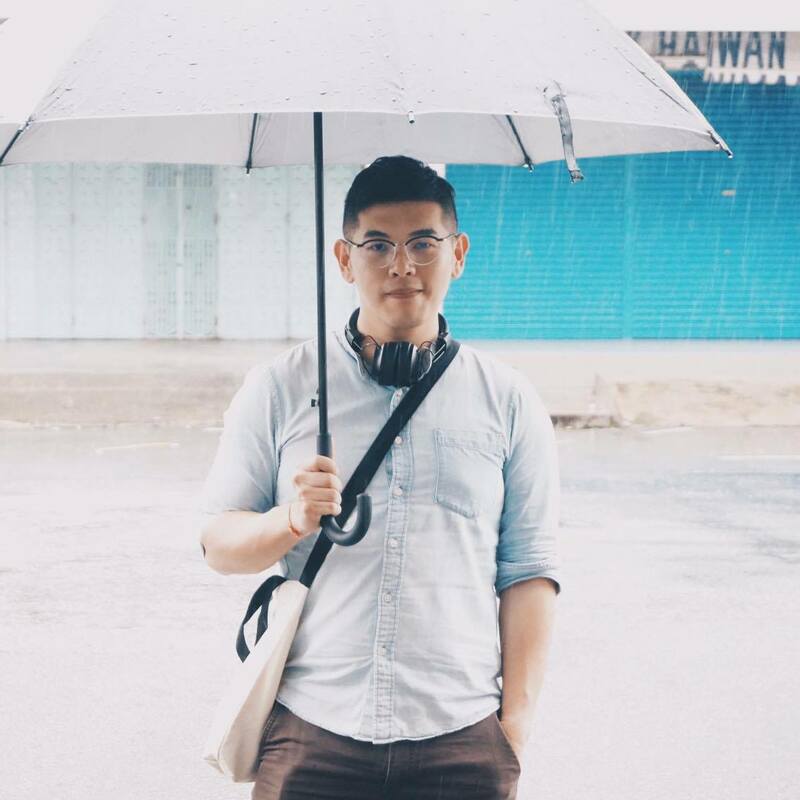 I would say that Taiping is really a photogenic place, you can find a great corner for photos anytime, anywhere, and also ANY WEATHER! 8. Bring home the TAIPING FAMOUS HUAN CHOO LENG! 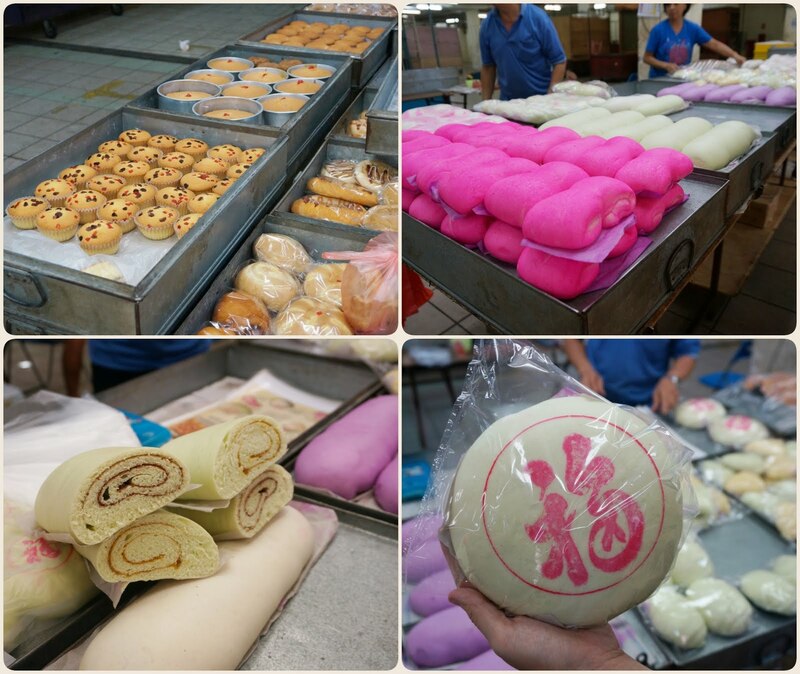 Famous for decades, the HUAN CHOO LENG at Taiping is a must! The Mee Koo like texture and the delicious red bean paste or Kaya filling got me all addicted! And it is only selling at RM3 each! 9. 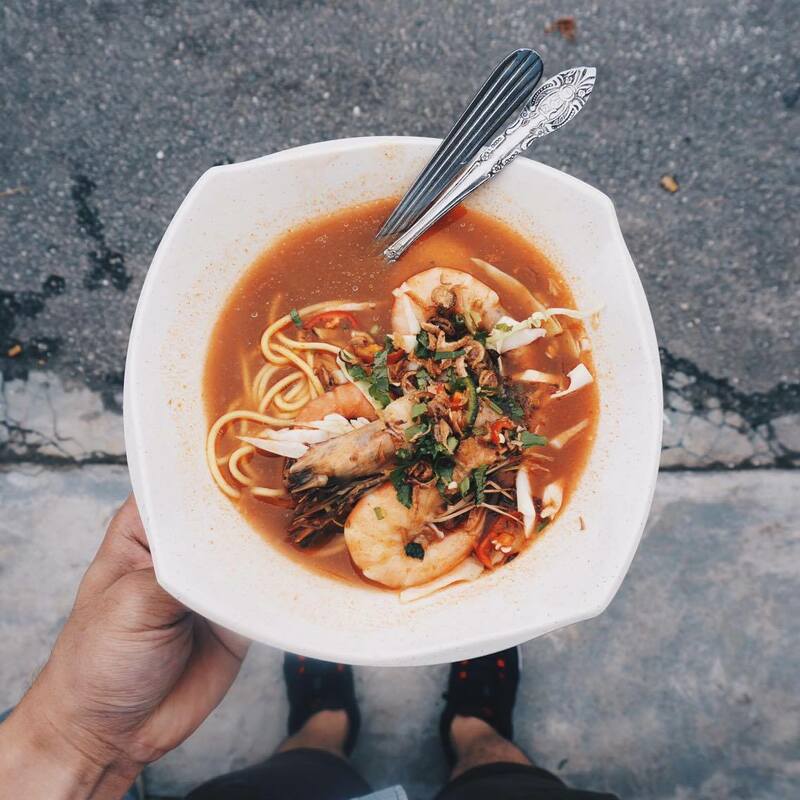 Drop by at Kuala Sepetang for Mee Udang Mak Jah! Need not introduction, Mak Jah Mee Udang was really famous that most people recommended me to drop by and give it a try. My comment is, it was really good for a bowl of halal Mee Udang. 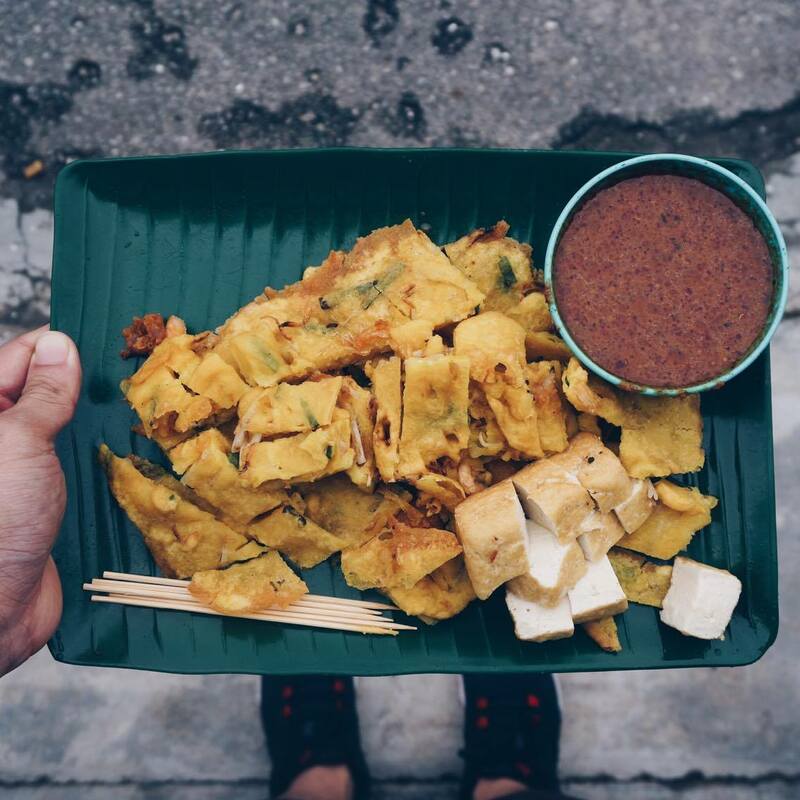 You can also try the Cucur Udang located just right next to Mak Jah, it is really cheap but tasted okay. 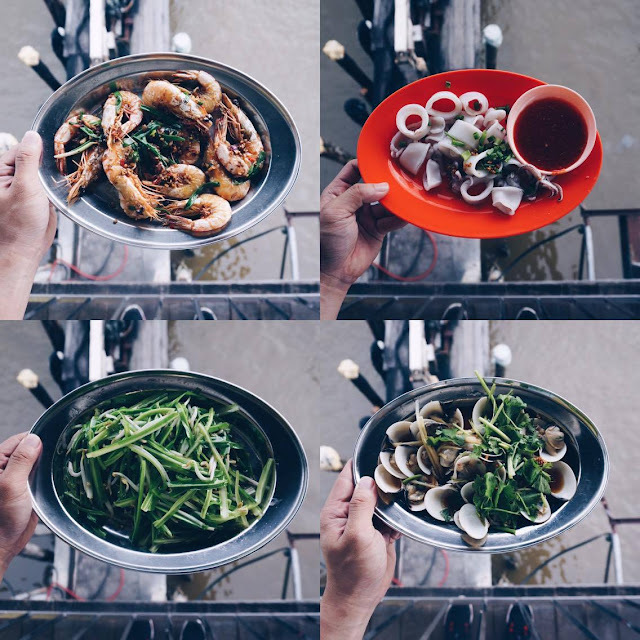 They said seafood is a must in Kuala Sepetang! I would say that I've choose the wrong restaurant hence my seafood experience wasn't that great, but it was the sunset view that got me all excited!